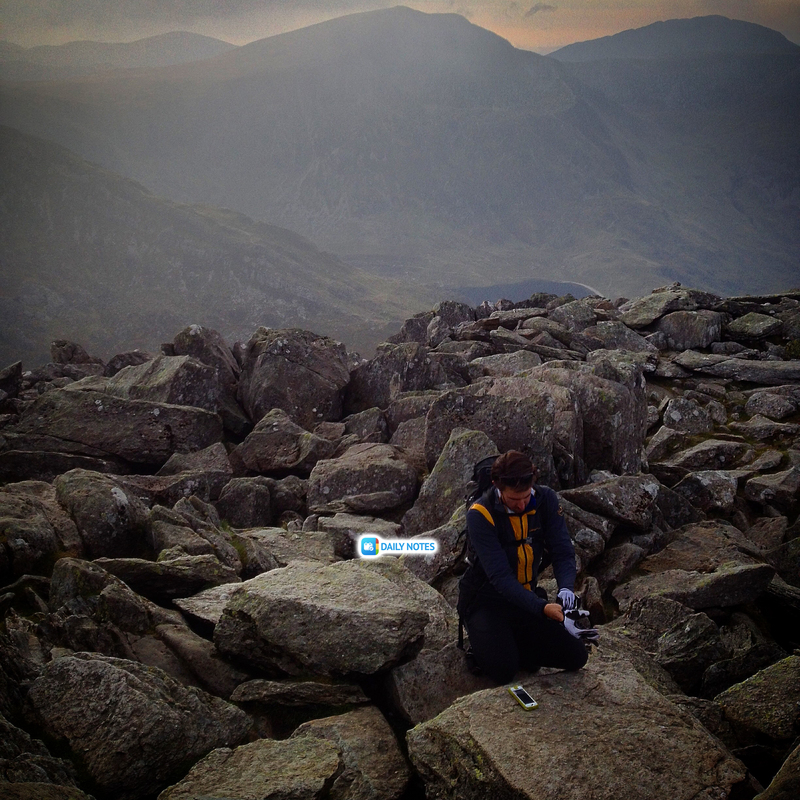 My name is Huw James, an Adventurer, Scientist and Presenter from South Wales, UK. My background is in Astronomy and Space Science and am now a professional Science Communicator. My job is breaking down complex science into understandable chunks in the hope of inspiring a new generation of curious minds. Was born and raised in the Welsh valleys and still live here, though I get to travel a lot so it’s nice to come home after every trip! I’m one of those lucky people whose hobbies are their job. I do a lot of outdoor work, as well as climbing I’m a climbing instructor, and as well as mountaineering I’m a trained Mountain Leader. I also love playing with and talking about Science which means my work isn’t all that bad. Being so busy though and juggling lots of hobbies and projects means its super handy that I can organise my fun and work a week, month or year into the future with Daily Notes. What are you passionate about? Name three. The Outdoors – Definitely love being in the outdoors. Do a lot of climbing and mountaineering, usually with my dog Finn whose an ambassador for www.ruffwear.co.uk. He loves coming with me if it’s just for an hour or a few days! Science – I really believe in the power of curiosity and science being the study of the natural world embraces that fully. With more people being able to ask questions and answer them in a scientific way, the world would be a better place! Sport – It’s one of those things that instils many different virtues in people, from team work to discipline, drive to sportsmanship. I owe a lot to my sporting background, whether its running, climbing, squash, basketball, badminton, rugby, soccer, snowboarding, paddleboarding, or any of the rest. Every single day is different. One of the things I love most about my job. As you can see from my To DO Lists I may be on Location one day and meeting in the city the next. It’s great to have an app that syncs between both my iPad and iPhone through Evernote so I can use it on the go. How did you discover Daily Notes? I’m one of those people who scours the App store for ways of making my life simpler and the best of the best in the game. This had great reviews even back then and has just got better. I’m in the camp of full takeover including a desk top version! 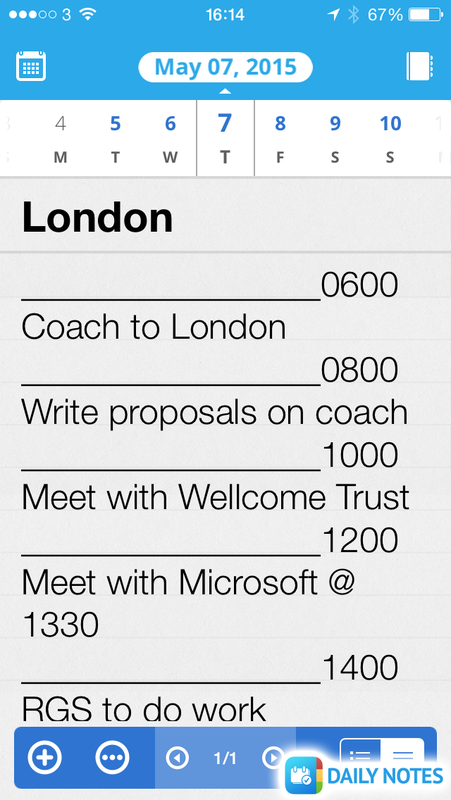 For me, Daily Notes power is in its versatility and being able to organise my life in a diary style. So if I know I want to do something in a few weeks’ time I just enter it in and use it like a to-do list. If I forget to do something or don’t have time, I can just cut and paste to the following day! It’s great to hack a non-check list system to do what I need it to do. How long have you been using Daily Notes? I came across Daily Notes very early on and have been using it pretty much from the start. The new iPhone addition to the app store has been a HUGE help! It means for years I’ve been using Daily Notes as my to do list, writing it all out the night before and getting a good sleep with nothing on the mind! 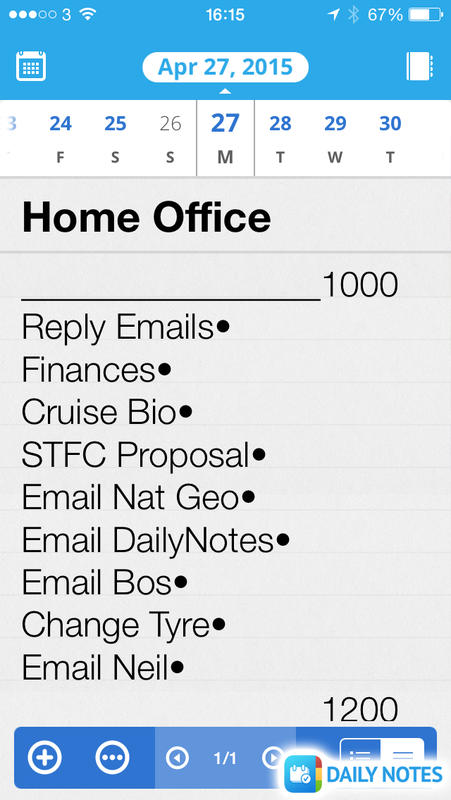 How do you integrate Daily Notes in your workflow or everyday life? The fact that I can share across my devices means that no matter where I am, I can update my to do list and check stuff off later. I’ve always just copy and pasted 2 hourly markers and it gives me a rough outline of the day without too much rigidity. All this backs up straight to Evernote then so I can use that to search all my old to do lists! I just check them off using a bullet point or hyphen if I’ve not done it, and that can be sending an email, having a meeting or going for a run! Is there a Daily Notes feature that you use often? 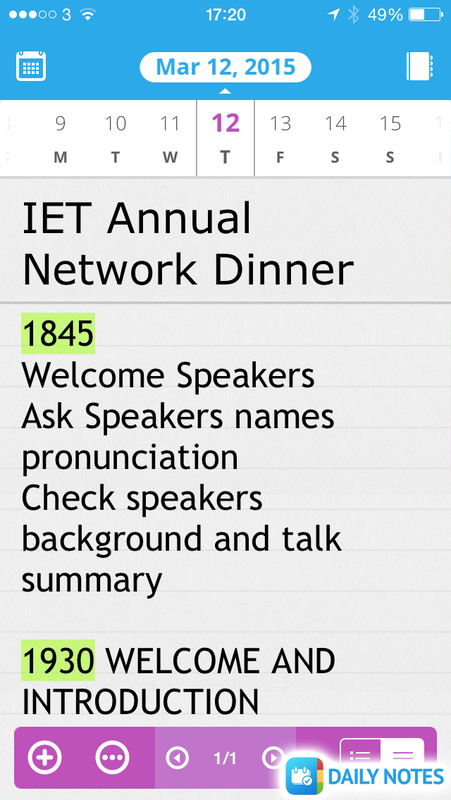 The base calendar function of Daily Notes is the bit I use most. 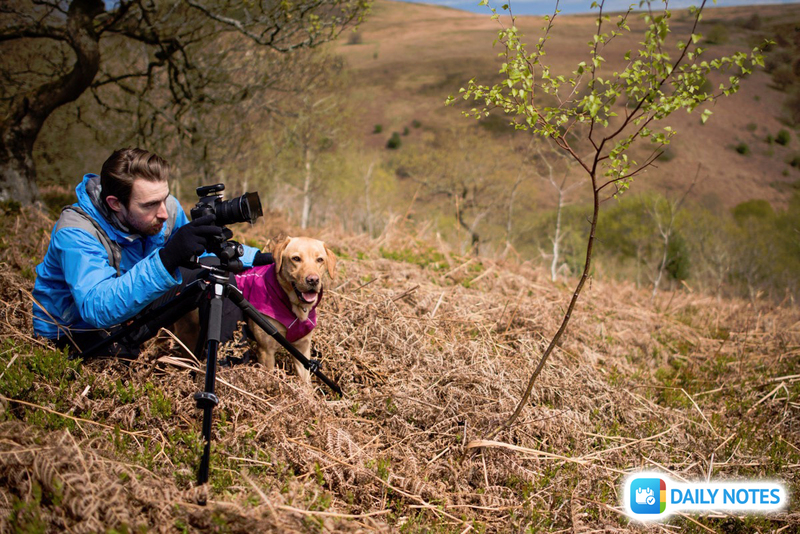 But having the functionality of integrating that simple design with a whole bunch of great features like audio recordings, photos and tags means I can capture everything on the go. 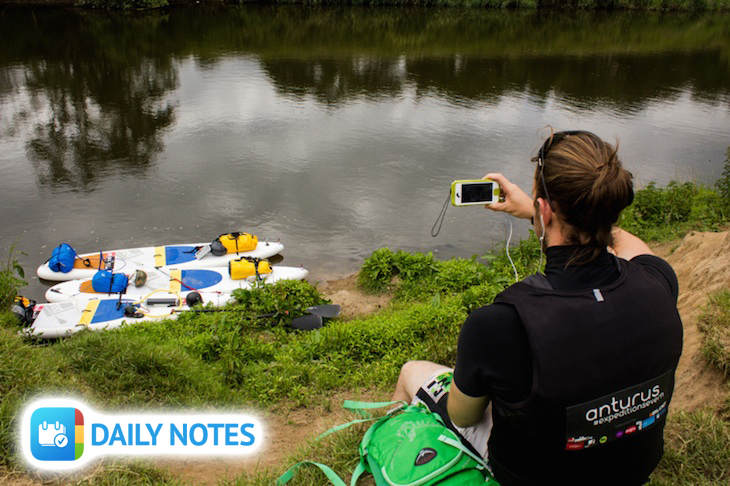 I’m quite often on the go with my project www.anturus.org so even from the side of a volcano or paddling down a river, Daily Notes can help! 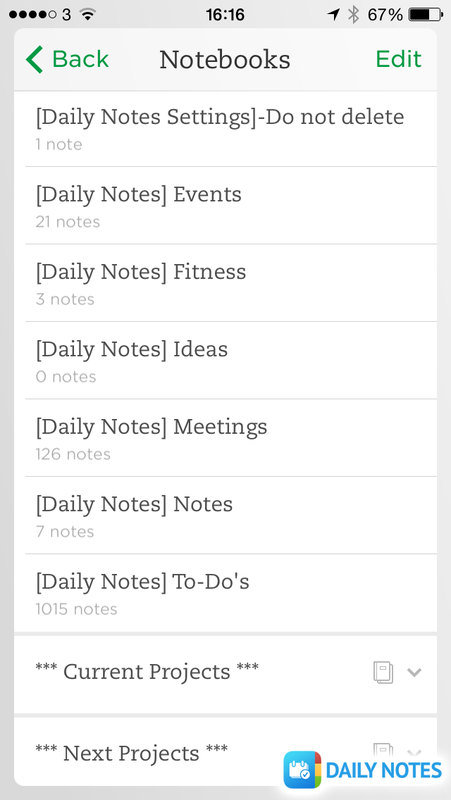 Can you provide tips for users who are just new to Daily Notes? My top tip would definitely be to back up everything to either iCloud or Evernote. I do it through Evernote because the two systems together are even more powerful than they are by themselves. It’s a great habit to get into in general but having all your Daily Notes backed up means you don’t have to worry! and include some new commentators too. Oh yes kids, I forgot to mention: stay in school, don’t do drugs. my followers! Excellent blog and excellent design and style.